It is imperative to get creative on the GAPS intro diet, and to be honest, my inspiration seems to come alive in new ways when we are so restricted. This easy chicken spaghetti recipe was borne of a boredom of soup and a desire for seemingly “normal” food. My kids enjoyed it, so that’s always a win in my book. 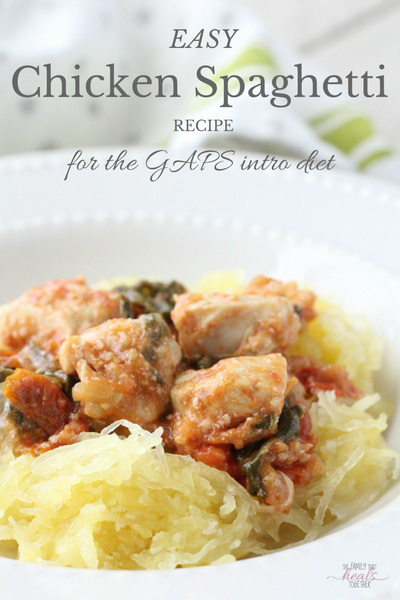 I really think spaghetti squash is enjoyable any ol’ time and one shouldn’t be on a restricted diet like GAPS to find an excuse to replace pasta with this healthier substitute. Our family really loves spaghetti squash, and I’m happy it’s an easy replacement for pasta, which generally contains enough starch and carbs (whether made from some sort of wheat or rice or other gluten-free grain) to shoot my boys’ blood sugar through the roof. They’re currently running around tricking each other into doing “trust falls,” which is just what it sounds like. Ain’t nobody doing trust catches. 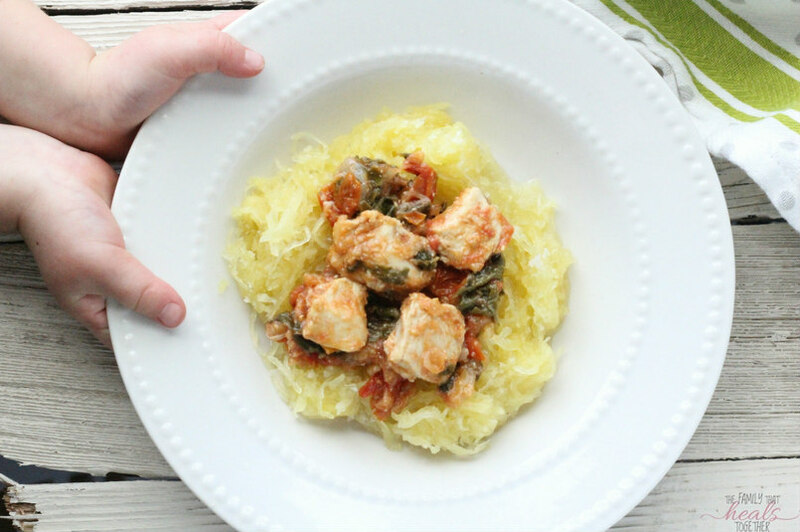 Blood sugar-healthy spaghetti squash is great for diabetics and the Harwell boys. Plus, I always feel like supermom when I get extra veggies in my kids. Cook the spaghetti squash: on early intro, you can peel it with a heavy duty vegetable peeler like this, then boil in broth; otherwise, cut in half and roast, cut sides down, at 375* for 45 min-hour. Pour the remaining quart of stock in a large, deep skillet and add the chicken, tomatoes, greens, onion, lard, garlic and salt. 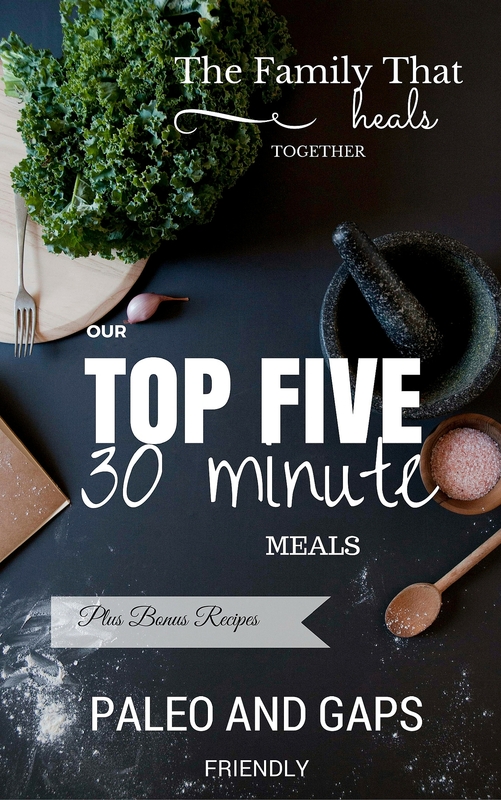 Cook until chicken and veggies are cooked through. Scoop spaghetti squash on individual plates for serving, salting to taste. 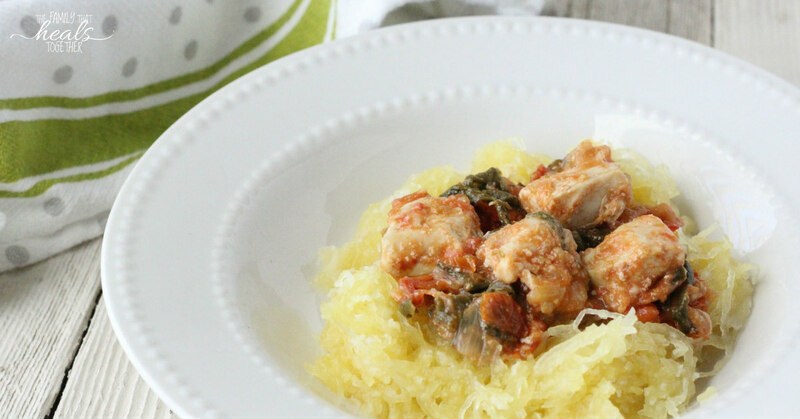 Add a scoop of chicken and vegetables on top of spaghetti squash and serve. Pin this easy chicken spaghetti recipe or share using one of our links below.